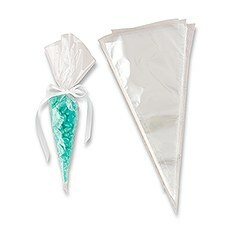 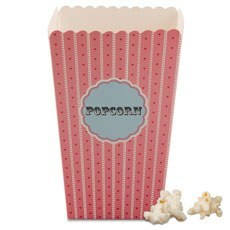 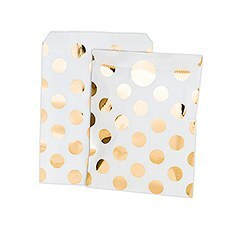 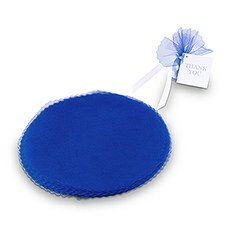 Create favors your guests will absolutely love with the help of these stylish wedding favor bags from Weddingstar. 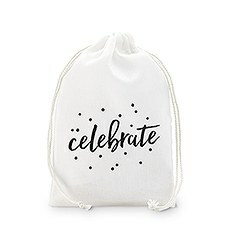 Our selection of unique pouches and bags offer plenty of ways to wrap up the special treats you're planning to offer all those loved ones in attendance. 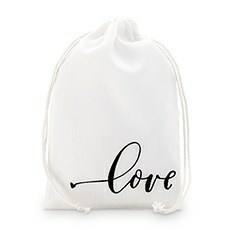 Because there are so many different styles from which to choose, it's easy to find something that fits right in with the vision you have for your wedding day.If you're in search of wedding favor pouches that that feature a warm, inviting touch, check out our adorable linen and muslin bags. 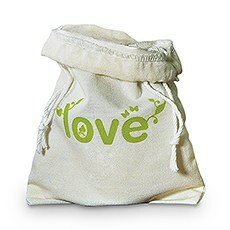 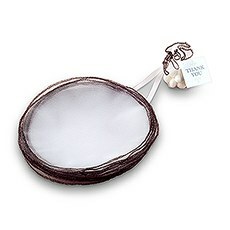 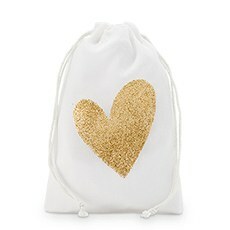 These mini drawstring bags for wedding favors have that sweet and simple charm you're looking for. 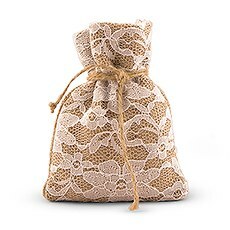 If you want something with a bit more rustic flair, we suggest our shabby chic burlap bags with lace. 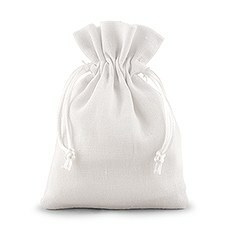 These rustic wedding favor pouches are adorable, and they can be filled with anything from candies to jars of homemade jam.Weddingstar also has plenty of upscale options if you want something a little more on the glamorous side for your wedding favors. 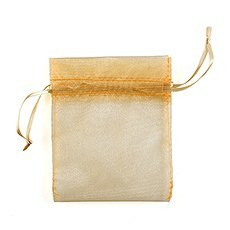 Our organza and tulle favor bags feature lovely, soft textures that look delicate but hold up well when stuffed with gifts for your guests. 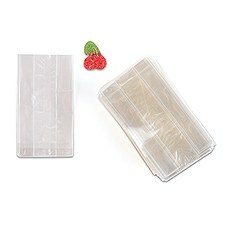 And if your favors are colorful candies or beautifully decorated cookie that are meant to be on display, choose cellophane for your bags. 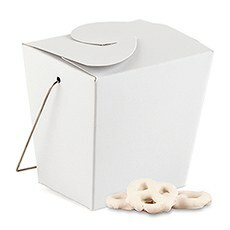 Just tie at the top with a pretty ribbon and your favors can double as a lovely table decoration.Paper bags are another great option, particularly if you'll be having a candy bar or popcorn bar where guests can fill up a bag of their own treats. 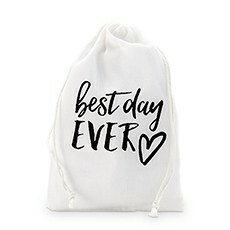 Our selection of printed paper goodie bags feature modern designs that add a stylish touch to your reception.Make Weddingstar your go-to resource for everything related to your favors. 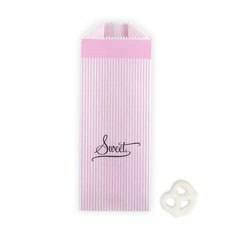 Besides our treat bags, we offer plenty of ribbons, charms, boxes and other items you may need to present your favors in a cute and memorable way.